Can you really have a sugar addiction?! I mean sure, you know you like it: the flavor, the experience but are you really addicted to sugar? I had to ask myself that same question and when I looked at the things I am going to show you, I was shocked to find out that I did have a sugar addiction that was riddled with sugar cravings and all the ups and downs that come along with it. Believe me I know, I was a sugar addict for 30 years even as a Personal Trainer for 18 of those years! Keep in mind, there is a HUGE difference between someone who has sugar every once and a while and it’s no big deal compared to someone that is addicted to sugar. Just like someone that can have one drink of alcohol and not think about it for a month but someone who has struggled with being an alcoholic cannot just have that “one” drink. I think it’s important to take a quick look at what the definition of an addiction is to see if you can really have a sugar addiction. 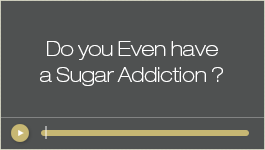 Are you really even a sugar addict, you can take “The Quiz” to self-diagnose whether you are or not, click here. Look at some of these definitions of addiction straight out of the dictionary: 1) the state of being enslaved to a habit or practice or to something that is psychologically or physically habit-forming, as narcotics, to such an extent that its cessation causes severe trauma. Now I don’t know about you but eating sugar became very habit forming to me and when I tried to quit and didn’t do it the right way, I had trauma…depression, uncontrollable cravings and strong withdraws. The next definition says: 2) the condition of being abnormally dependent on some habit, especially compulsive dependency on narcotic drugs. Huh, have you ever felt abnormally dependent on sugar? Always wanting it? Eating it emotionally when you had a bad day, eating it daily or just down right gorging on it? Wait till you hear the definition of a drug, you can decide if sugar acts like a drug in the body but first let’s look at one more definition of addiction: 3) habitual psychological and physiological dependence on a substance or practice beyond one’s voluntary control. Oh mamma! That sounds like I used to be. I definitely had a habitual dependence on it physically and mentally and it felt beyond my voluntary control. That is one reason why addiction can be so challenging because you don’t feel like you can stop yourself… uuuuhhh… that is why it’s an addiction, my friend! 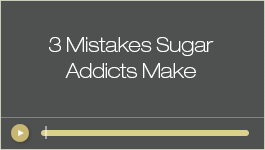 Check out this one great tool, a free video that I made for you called The 3 Mistakes Sugar Addicts Make and How to Avoid Them. Now check out the definition of a drug: 1) a chemical substance, especially a narcotic, taken for the pleasant effects it produces. Ha, sugar is definitely a chemical substance and yes indeed, I DID take it for its pleasant effects initially…until the come down! Look at this definition of a drug: 2) something and often an illicit substance that causes addiction, habituation, or a marked change in consciousness. 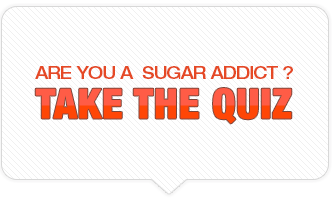 Self-diagnose whether you even are a sugar addict or not, take “The Quiz, click here. Many times the definitions about addiction and drugs mention illicit substances but we all know you can get addicted to anything, even gambling and that is not an actual substance. I even just saw on the news a woman was addicted to eating couch cushions, yes couch cushions. 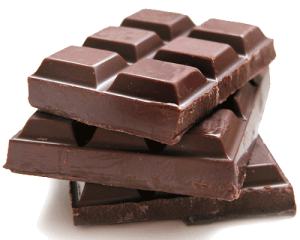 So the point of this story is this, if you find yourself stuck in a situation where you eat sugar too much, you over eat it, you feel like it’s this constant battle, up and down with it, you don’t feel like you have control over it, you possibly eat until you feel ill or any of the above you just might be addicted to sugar. If you would like to check out a free internet seminar I have on overcoming a Sugar Addiction, click this link. « Hello Possible Sugar Addict!